The Criminal Practice Directions (CPD) have just been amended in relation to expert evidence provided for criminal proceedings. The requirements of the new Directions are expressly applicable to criminal proceedings but their content is just as applicable to any expert seeking to give unbiased and reliable evidence to any court or tribunal. To look at that the other way round, the matters to which this Direction relate are all matters which could seriously embarrass an expert and the party by whom the expert is instructed in any proceedings if admitted to for the first time under cross-examination, and the failure to disclose them could lead to serious consequences for the expert, including financial penalty and reference to the appropriate professional body. CPD 19A.7 gives examples of matters which should be disclosed as potentially undermining the reliability of an expert’s opinion or detracting from the credibility or impartiality of an expert, both in relation to the expert and in relation to any corporation or body for which the expert works. a history of failure to adhere to the standards expected of an expert witness in the criminal justice system. 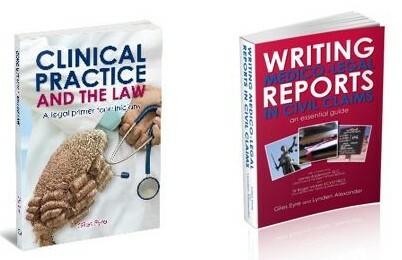 CPD 19A.8 states that where there has been adverse comment in the course of a judgment, it would be reasonable to expect those criticised to supply information about the conduct and conclusions of any independent investigation into the incident, and to explain what steps, if any, have been taken to address the criticism. The potential sanction in criminal proceedings under CPD 19A.9 is ‘a searching examination of the circumstances by the court’ of a failure to disclose, and potentially the exclusion of the expert evidence in the proceedings. But in any proceedings these would all be matters likely to impact on the reliability of the expert’s evidence and should be raised by the expert with the instructing solicitor if not referred to in the report itself.